Again, something we all need to hear again and again and again and again and again and again and again……. Wellness is defined in so many different ways. For many people view wellness through the temporal lens. Maybe wellness involves your retirement plan, or your physical well being ie..healthy body and mind. And rightfully so, we continuously pray in the midst of sickness and suffering and we thank the Lord through all things, for He provides for us. Yet, for all of us, it’s easy to place wellness [as a whole] solely in the temporal lens. Tunnel visioned we become, that we are dead set on finding complete wellness in this fleeting world. 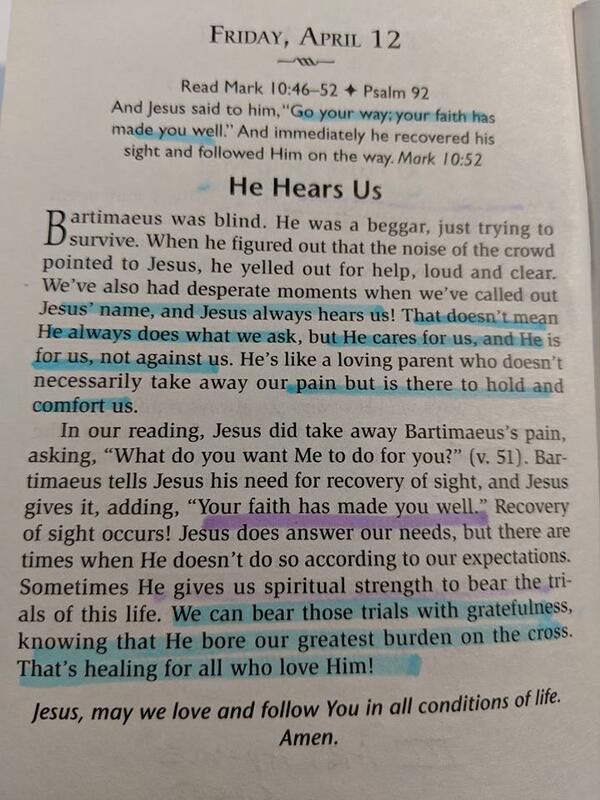 The words of Jesus to blind Bartimaeus remind all of us that it is faith that has made us well. Yes, there is suffering in this life, much to bear for all of us, yet at the end of the day, we are well by the one who “bore our greatest burden on the Cross”. Yes, as we pray in the Lord’s prayer, “deliver us from evil”. And to our blessed end Jesus has answered by His body and blood, His death and resurrection, His promises, “Today you will be in paradise”. The Cross and Empty Tomb has saved you. The Cross and Empty Tomb has made you well. The Cross and Empty Tomb has made you the most well you will ever be. 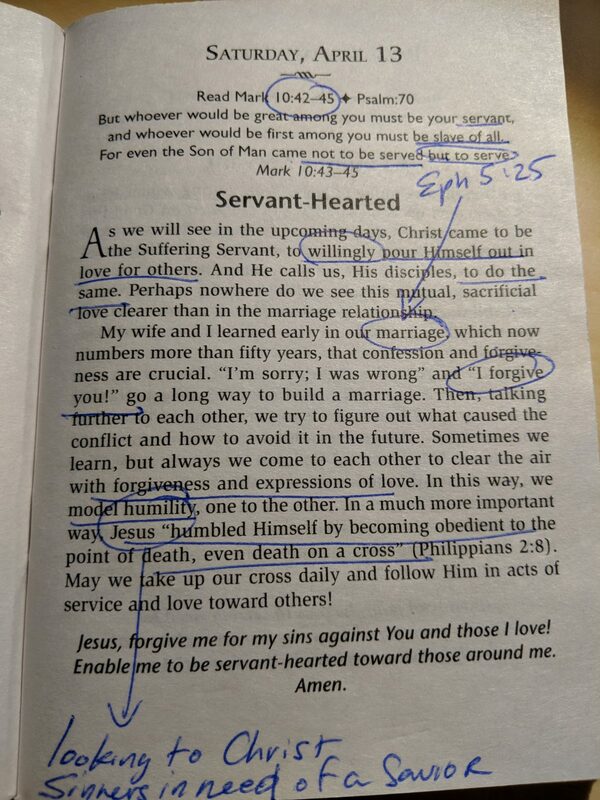 For in Christ, we have been given the greatest wellness: Forgiveness of sins, eternal life and salvation. Enjoy this day in the Lord’s name!